Last edited by TheJGit on Mon Jan 18, 2016 7:41 pm, edited 4 times in total. That fallen empires misprint is awesome! Thanks for sharing. berkumps wrote: That fallen empires misprint is awesome! Thanks for sharing. At first i was " What ?" and then i was "WoW !" That was probably my best find from ebay. I don't think anybody realized what it was, so I had no competitive bidders. After lots of staring, I'm pretty sure the 2nd card is Vodalian Soldiers. Ya I've got that one on my watch list mmgun. A few of these from this sheet have been on ebay for a while now. I'm a John Avon fan so I might pick this one up. Not a terribly difficult set to complete, but hey, gotta start somewhere! I'd like to try and track down an artist proof eventually and one day own the original art. 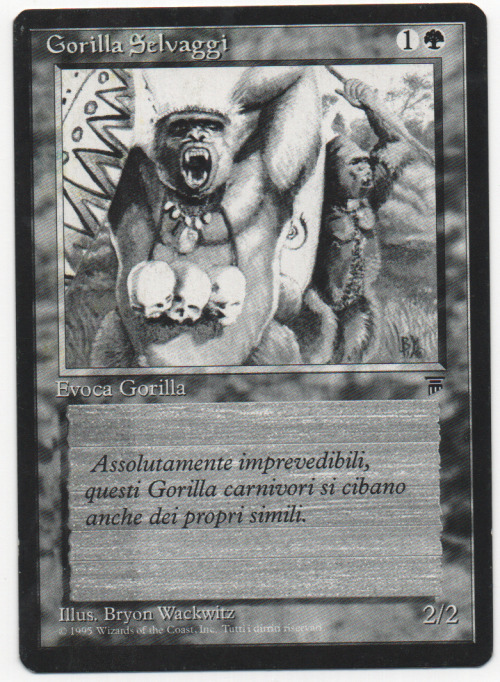 There are artist proofs for English, French, Italian, Portuguese and Spanish Ice Age. Should be a fun quest! berkumps wrote: There are artist proofs for English, French, Italian, Portuguese and Spanish Ice Age. Should be a fun quest! For some reason I only thought the ap's were in english, spanish, and portuguese despite how clearly it says otherwise here: http://www.firstturninc.com/proofs-FAQ.html. Will still be a fun quest indeed. Just a small collection update! Slowly checking things off my misprints and rarities want list (which I should really get around to making). Also, getting painfully close to completing my global set of slaughter cry (huge thanks to Ron for making it possible). Currently I have 37 of the 40 versions and and one of the English APs. I've got all the non-foils . I also picked up a pretty neat vertical crimp (not pictured) It's two cards that have been crimped together. Don't really want to photograph it because of the risk of accidentally separating them. We need this kind of stuff in one place where it can be found. Searching is very difficult for me as I don't remember exact titles or terms. mystical_tutor wrote: We need this kind of stuff in one place where it can be found. Searching is very difficult for me as I don't remember exact titles or terms. I'm still liking your idea of organizing everything as a historical timeline. There is such a wealth of knowledge in this site and so much of it can't be found--at least by me. 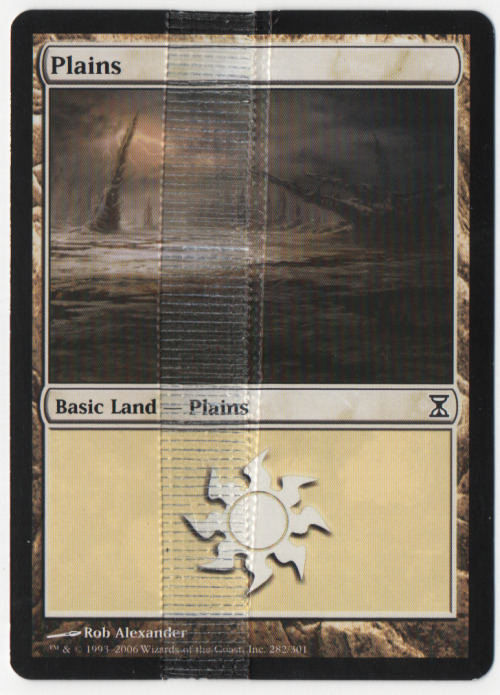 Some is generic and doesn't fit historically like the post by one of the members that detailed some of the printing process or the one that gave insight on scanners and why they have problems with foils. Of course misprints/cuts/crimps/etc. are largely topic related but can be cross referenced historically. Almost all else would benefit from historical timelines and would show us where ideas were born and, in come cases, where they died. Massive project if ever undertaken though. For the past 6-8 months, I've had this nagging inclination that I can't seem to get out of my head, "Your collection is a waste of resources($$$). The misprint community is getting supersaturated with junk. Get out now. Sell..." Every time I get that feeling, I give it some time. Maybe it's just a temporary feeling. The last thing I'd want is to sell off cards I love and regret it later. But, the feeling keeps coming back. I still love misprints. The problem is the majority of them just aren't exciting anymore. Magic is the largest it's ever been. They're printing tons of product, and doing a relatively terrible job at it. So the supply of misprints is much higher than it used to be. 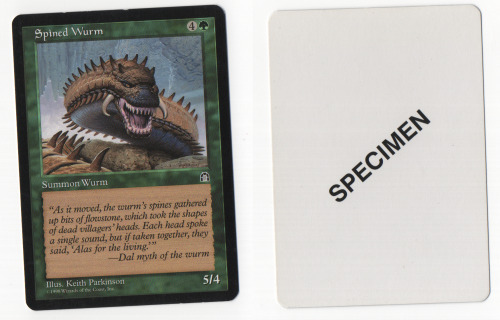 The community of misprint collectors hasn't grown too much despite MTG's surge. What has grown are people's awareness of the community, which has led to a flood of non-caring idiots asking how much slightly smudged card X is worth. With that said, there are the occasional worthwhile misprints that pop up. I think my misprint collection is pretty nice, probably worth a few thousand, if I were to tally it all up. That's nothing earth shattering (especially next to some of the collections you guys have), but it is a nice chunk of change. As far as my spending habits are concerned, I'm not the most responsible person. Would liquidating my misprint collection help that? No, but it would reallocate some resources into places where I could be "more responsible." Either way, I'm conflicted. To sell, or not to sell? I've only been collecting misprints for 5 or so years, so I'm curious if any of you veterans have any insights or advice you'd like to share. TheJGit wrote: For the past 6-8 months, I've had this nagging inclination that I can't seem to get out of my head, "Your collection is a waste of resources($$$). The misprint community is getting supersaturated with junk. Get out now. Sell..." Every time I get that feeling, I give it some time. Maybe it's just a temporary feeling. The last thing I'd want is to sell off cards I love and regret it later. But, the feeling keeps coming back.